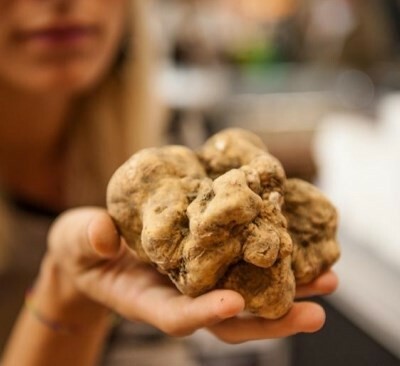 Let your nose lead you to the granddaddy of autumn food festivals in Piedmont…the International Alba White Truffle Festival – Fiera Internazionale del Tartufo Bianco d’Alba takes place from October through to November. For those of you who have never smelled the heady aroma of a fresh truffle, stepping into this fair may very well knock you out. 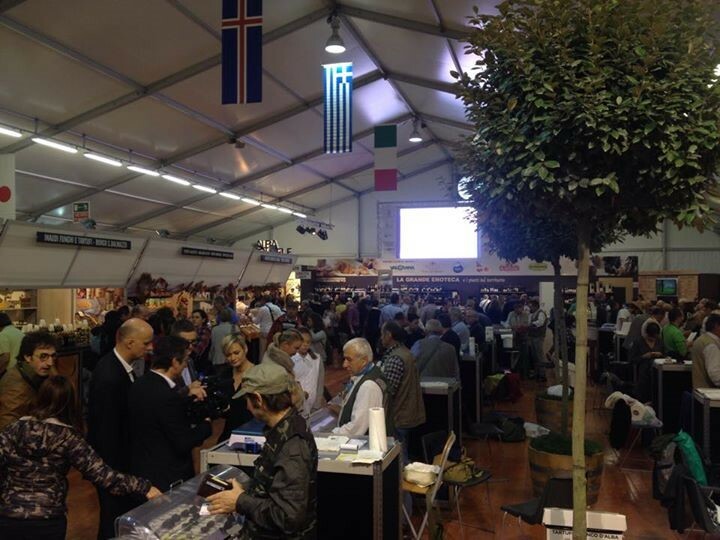 Located in Alba, the heart of white truffle country in the Langhe, dozens of truffle hunters line up their stands to sell their treasures at the Alba Truffle Festival. 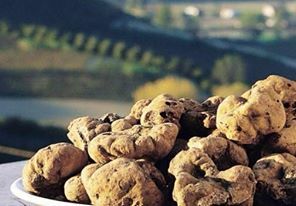 Each truffle has been quality-tested by an expert commission that exists solely for the safeguarding of truffles. Back up a step – you’ve never heard of a truffle? Or perhaps you thought it was a chocolate – which, actually, took its name from the original truffle. The tartufo is an underground mushroom that grows in symbiosis with oak, beech, poplar, and hazelnut trees, a reason for which many are found in the Langhe and Monferrato; these are territories of Piedmont where the ‘Tondo Gentile’ hazelnut grows profusely, and where neat lines of slender poplar trees form rectangular groves all over the countryside. The truffle is one of the world’s most expensive foods, fetching up to tens of thousands of dollars per kilogram. 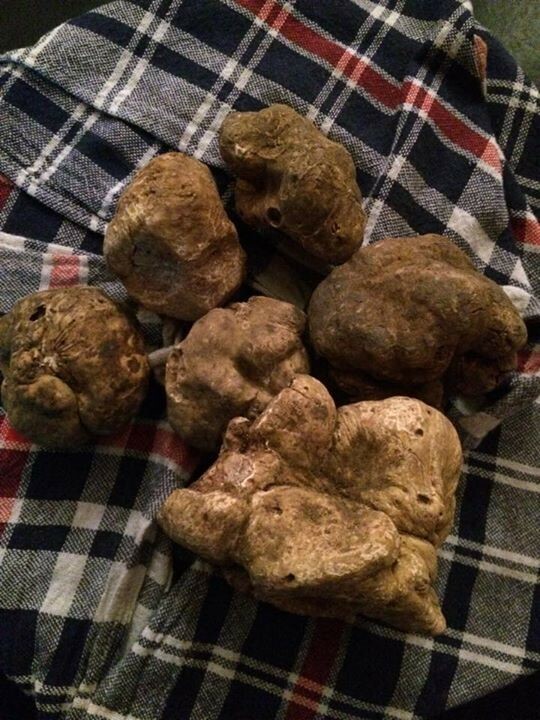 Most truffles, however, are small specimens, and can be quite affordable for the visiting foodie. In Alba, you can literally smell the White Truffle Fair from outside the building. Enter, and prepare to have your senses gloriously overwhelmed. Not only are the aisles lined with truffle sellers, but top-quality artisan producers of all sorts of items – from olive oil al tartufo to hazelnuts and fine wines – offer samples and easily convince visitors to buy something, everything. The entrance fee is only €2.50 and the fair lasts over a month, from the beginning of October to November, open on weekends from 9 am-8 pm. Crowds of Italians and many international tourists mill about with wine glasses in hand. 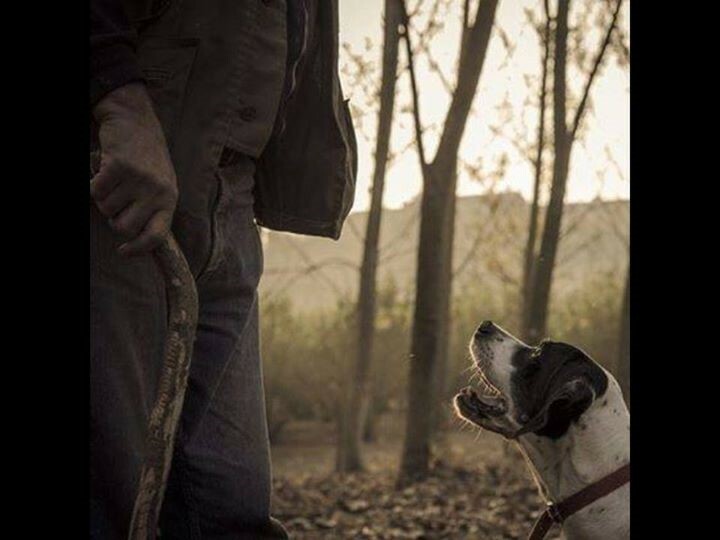 They take photos of the truffle hunters displaying their white gold, of chefs shaving truffles over fresh pasta, or of special “guest” appearances by the trifolao, truffle hunters, and their canine friends. These dogs, specially trained to sniff out truffles, are the real treasure-finders. But why limit yourself to a few days of truffle-wine-and-food-filled fun? There are so many more events tied to Alba’s Truffle Festival happening all week long. One of the most popular is the Medieval Festival, when locals, completely decked out in period costumes, sell traditional goods from the Middle Ages and today.